Disclosure: This post was part of the Break Up with Your Makeup program sponsored by Galderma Laboratories, L.P. through their partnership with POPSUGAR. While I was compensated by POPSUGAR to write a post about Galderma Laboratories, L.P, all opinions are my own. You should discuss any medications with your doctor. Good skin begins with good skincare. You can have all the makeup in the world but it is like a band aid on a broken bone, it doesn't solve the problem. Until your skin is taken care of, no amount of makeup can treat it. Occasionally it takes more than just skincare products to solve skincare problems. Personally I deal with breakouts. I am convinced that my hormones play a major role in this, and I have finally found a birth control that can keep my skin breakout free. Now that my hormones are under control my skin is clear. 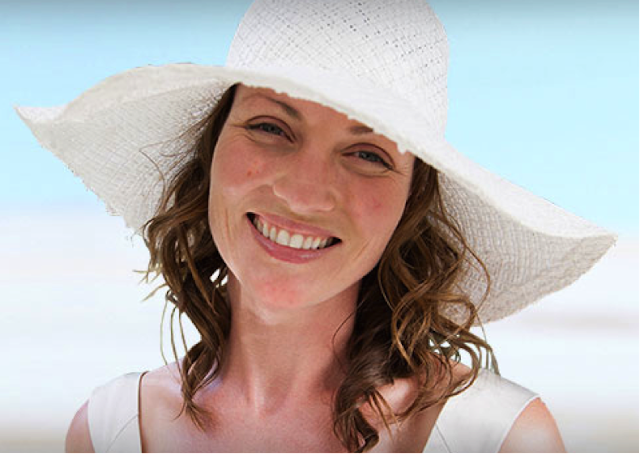 Other skin issues can be more complicated to resolve, for instance rosacea. Rosacea is a common chronic skin condition that affects millions of Americans. Rosacea can consist of bumps and pimples. Your face may easily flush, and it can be uncomfortable. Thankfully there are medical treatments for rosacea like one of Galderma’s products, Oracea® (doxycycline, USP) 40 mg Capsules. Oracea Capsules® is the only once daily pill for the treatment of the bumps and pimples of rosacea. Oracea Capsules works from within to target and treat the inflammatory lesions of rosacea in adults. Indication: ORACEA® (doxycycline, USP) Capsules 40mg* are indicated for the treatment of only inflammatory lesions (papules and pustules) of rosacea in adult patients. ORACEA Capsules do not lessen the facial redness caused by rosacea. Adverse Events: In controlled clinical studies, the most commonly reported adverse events (>2%) in patients treated with ORACEA Capsules were nasopharyngitis, sinusitis, diarrhea, hypertension and aspartate aminotransferase increase. Warnings/Precautions: ORACEA Capsules should not be used to treat or prevent infections. ORACEA Capsules should not be taken by patients who have a known hypersensitivity to doxycycline or other tetracyclines. ORACEA Capsules should not be taken during pregnancy, by nursing mothers, or during tooth development (up to the age of 8 years). Although photosensitivity was not observed in clinical trials, ORACEA Capsules patients should minimize or avoid exposure to natural or artificial sunlight. The efficacy of ORACEA Capsules treatment beyond 16 weeks and safety beyond 9 months have not been established.